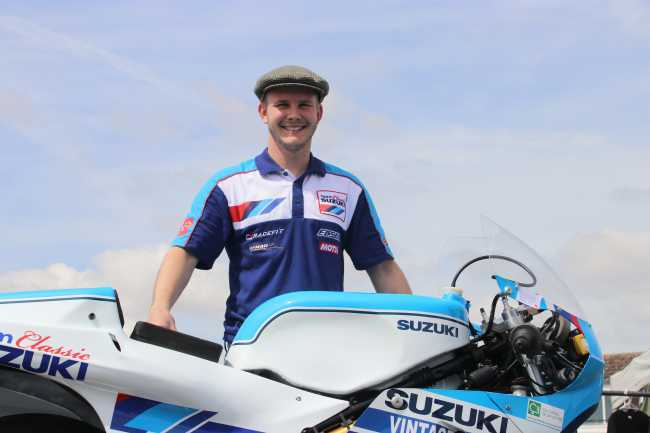 Danny Webb continues with the team for a third successive year but will contest the four-lap race on one of the teams immaculate RG500 Suzuki’s this year. He will be joined by Phil Crowe with the Lincolnshire rider making his debut at the event on a GSXR1100 Suzuki-powered XR69. Former 125cc and Moto3 World Championship contender Webb first rode for the team in 2016 when he made his return from injury after dislocating his shoulder during practice at that year’s Isle of Man TT Races. It was a strong return too as he lapped at 121.289mph on his way to an impressive sixth place. He continued with the team twelve months ago when, riding the XR69 1100cc Suzuki again, he finished in a strong ninth place with more 121mph+ laps. 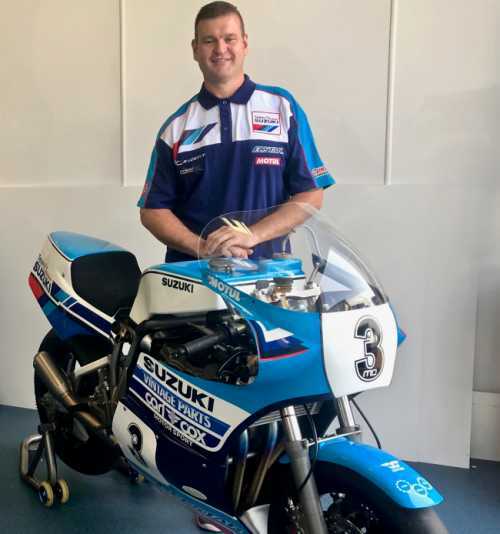 This year will see him take on a new challenge though as he campaigns the two stroke RG500 Suzuki, a machine that enjoyed considerable success in the World and British Formula One Championship races of the 1980s. Crowe joins the squad on the back of two successful campaigns at the Isle of Man TT races in 2017 and 2018. After making his Mountain Course debut in 2014, Crowe impressed last year with a trio of top twenty finishes and his first 128mph+ lap. The Market Rasen rider made further progress this year, recording a career-best finish of ninth in the opening RST Superbike Race where he narrowly missed out on joining the ‘130mph Club’ with a sixth and final lap speed of 129.957mph. He looked on course to better that in the Pokerstars Senior TT Race at the end of the week until a spill on the final lap at Whitegates. Both riders will certainly be looking for podium places as Team Classic Suzuki continue their strong record at the event. Phil Crowe with the Team Classic Suzuki XR69 he'll race at the 2018 Classic TT presented by Bennetts. Pictures of Danny Webb at Donnington by Team Classic Suzuki.